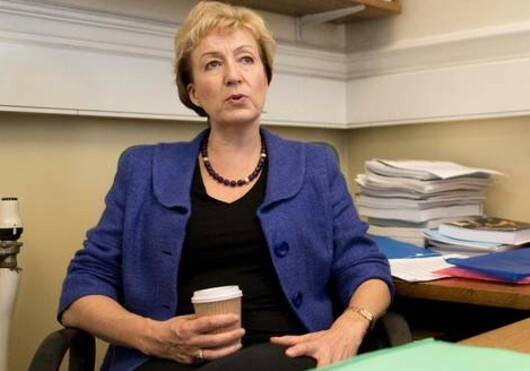 Andrea Leadsom [Image: The Independent]. George Osborne’s latest attempt to make us think that Conservatives can be tough on tax avoiders has lasted less than a week. The part-time Chancellor announced measures that meant avoiders faced bigger fines and were more likely to go to jail, on April 12. What a shame his new city minister, Andrea Leadsom, is facing hard questions over actions she took to cut her own inheritance tax bill, just six days later. Ms Leadsom is now responsible for the government’s Help to Buy property scheme, making this even more embarrassing as the allegations against her refer to shares in a property company. The allegation is that she took advantage of offshare banking arrangements for her buy-to-let property company, placing her shares into controversial trusts in order to reduce her inheritance tax bill, for the benefit of her children. The property firm Bandal, created by Ms Leadsom and her husband, another ex-banker – also created charges over two of its buy-to-let properties in favour of the offshore branch of an investment bank. Apparently this indicates that she obtained loans from the Jersey-based bank that were secured against the buy-to-let properties. While none of the above is actually unlawful, it does mean there is at least one alleged tax avoider – not only in the Conservative Party but in the Treasury. The self-styled ‘Party of Financial Competence’ has become, once again, the Party of Financial Fiddles. According to The Independent, “Since becoming an MP, Ms Leadsom has campaigned vigorously against bankers’ bonus caps and a financial transaction ‘Tobin’ tax. “It is not the first time millionaire Tory ministers have been caught up in tax avoidance claims. This is a serious embarrassment for George Osborne, who told the nation, “If you’re hiding your money offshore, we are coming to get you,” in a speech last week. In the case of Ms Leadsom, it seems, he doesn’t have far to go. Vox Political has no tax issues as it does not have enough income to be taxed. How much of the national debt has been faked by tax dodgers? Diddled into debt: A corporate tax avoidance scam is conning workers out of decent pay and the government out of tax and NI money, after causing the financial crisis. “A bank in the UK could lend, say, $1bn to a US bank… generating tax-free income in the UK but a tax deduction in the US – and then simply borrow it back. For the second leg a different instrument could be used that generated tax-free income in the US and a tax deduction in the UK. The banks had simply swapped $1bn, to no economic effect beyond two tax breaks, while quite possibly keeping any mention of the debts off either’s balance sheet. Such tricks – the creation of debt more for tax advantages than any real business need – undoubtedly contributed to huge levels of inter-bank indebtedness that triggered the financial crisis.” – Richard Brooks, The Great Tax Robbery, p86. If you are not deeply disturbed by the implications of the above quotation, read it again until you are. Richard Brooks is saying that the major banks of the UK, the USA, and who knows how many other countries colluded to hide massive amounts of money from the tax man by claiming – falsely – that it was debt. The financial crisis happened because the banks could not service the debt they had created – they could not even pay back the interest on it, let alone the debt itself – and so the government was forced to step in and bail them out. So now the government had not only lost the tax it was due from the bank profits that had been hidden by the dodge Mr Brooks mentions, but it had now taken on the fake debt that had been created. The taxpayer was doubly the loser. Who pays back the debt? Not the banks. Not the large corporations that are also avoiding tax. Not the rich businessmen and women who dreamed up the tax dodges. Thanks to changes in the law and already-existing legal loopholes that have not been closed by the Coalition government, they have been able to park their ill-gotten gains in offshore tax havens, depriving the nation of the wherewithal it needs to fix the problem they created. Now it seems the government is also being deprived of badly-needed tax money because of the way large firms are structuring their pay packets – to the disadvantage of low-paid workers. The details were in Channel 4’s Dispatches documentary, Secrets of Your Pay Packet, broadcast on October 21. With more people in work than ever before, the UK should be getting massive amounts more in tax and National Insurance, allowing it to provide the services we expect and pay down the national deficit. But the deficit hasn’t budged. Why? Because the new jobs are part-time, self-employed or temporary. Self-employed contracting means you can end up working for less than the minimum wage (you’re paid a fixed daily rate for the job, not the hours it takes to do it, so if it takes a long time to get it done, your pay-per-hour diminishes proportionately – and, as you are self-employed, you’re not entitled to the minimum wage). Conversely, if you are employed part-time, you can end up working too few hours to qualify for tax or National Insurance (so you don’t get enough credits to pay for your pension later in life and the Treasury doesn’t get the tax money it needs to pay for services and clear debts) and on a personal level you don’t work enough hours to qualify for decent holidays. The company doesn’t pay for employees going on annual leave, potentially saving tens of millions of pounds. If you work overtime, this doesn’t count towards annual leave, of course. So you can be employed on a part-time contract for, say, three days a week, be asked to work two more days overtime (a full five-day week) and lose out on all the benefits a full-time worker would expect. The threshold is 20 hours per week. If you work less than that, employers do not have to pay NI contributions which would cost them nearly 14 per cent of pay. So people may work all their lives but never qualify for the state pension. This is why more people are now in work than before the recession – it’s a cheat by bosses. They’re the ones who pay your tax and NI contributions. If you’re on pay that’s below the new tax threshold, you don’t pay tax. We have the Liberal Democrats to thank for that. It seems like a good deal but in fact it isn’t. Meanwhile the companies say that cutting down working hours has saved jobs in a hard business environment, while the number of full-time jobs is down and wages have now fallen by 12 per cent in real terms (up from nine per cent, only a few months ago). It is cheaper for companies to employ more people on shorter hours because they pay less to the government in tax and NI. And they say the “flexible” labour market has been a boost for the country, that having a job is better than having no job, and that it will help people progress. That is not what we see. We see a workforce ground down by the pressure of making ends meet on part-time or zero-hours jobs, making no NI contributions, getting very few holidays, and afraid to challenge the situation because their employers can simply let them go and hire someone else from the huge 2.5-million-strong pool of the unemployed (who are desperate for jobs because the DWP fills their entire lives will bullying and threats about losing their benefits). We see the government completely unable to cover its costs because its own tax system – written by the ‘Big 4’ accountancy firms that have been responsible for more tax avoidance schemes than any other organisations in the country – actively promotes corporate tax avoidance; and Conservative ministers are totally indifferent to the huge losses they are piling up, because it means they can cut public services, or sell them off to (again) big corporations who will then avoid paying tax on them. And we see the rich corporates laughing all the way to the (offshore) bank yet again. The Coalition government has tried to tell us that it must squeeze benefits for the extremely poor, and low-paid working people must work much harder, in order to pay off the debt that – no matter what ministers tell us – neither they, nor the last Labour government, created. In fact, this has been a story of tax avoidance by the very rich. A huge scam, running for decades, and hidden from the British people. 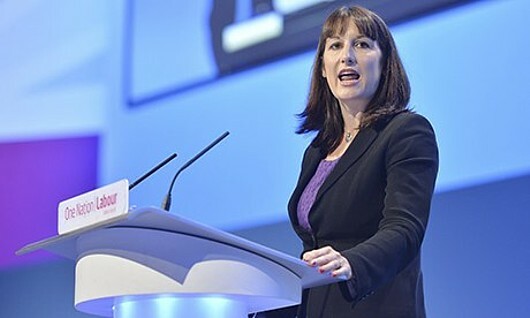 Off-message: If Rachel Reeves had promised to get as tough on tax avoidance in her previous job as she is promising to be on benefits now, Labour might have had more credibility. A lot of people have been getting their knickers in a knot about Rachel Reeves’ interview in today’s Observer – and rightly so. In it, she tells us (wrongly), “We are not in an environment where there is more money around,” and says that Labour will be tougher than the Tories when it comes to slashing the benefits bill. She stressed that she wanted to explode the “myth” that Labour is soft on benefit costs. There are a few myths feeding into these statements. Firstly, the myth that millions upon millions of British citizens are living a life of luxury on benefits, which is, quite frankly, infantile nonsense. Benefits do not pay the ordinary claimant enough to afford huge luxuries and never did. They were always intended to cover the cost of survival while the recipient looked for something better. Anything else is a lie concocted by unscrupulous politicians, that you would be a fool to believe. Then there’s the myth that the British taxpayer is being defrauded out of a fortune by benefit cheats who are (again) living a life of luxury at our expense. One look at the figures dispels that idea! The fact is that only seven people in every thousand commit benefit fraud – at a consequently small cost to the overall budget – and the amount they receive simply would not support the lifestyle our politicians are suggesting for them. Let’s move up to a bigger myth – that people prefer to live on benefits than get a job. We’ve now moved from infantile nonsense to dangerous nonsense. The current situation, engineered by the conservatives in both Coalition parties, means there are very few jobs available – around 500,000 at any one time, with 2.5 million people chasing them. And what kind of jobs are they? How many are zero-hours contracts? How many are part-time? These jobs do not pay more than benefits (“Making Work Pay” – another Tory lie) so anyone taking them will be out-of-pocket. Meanwhile, the Tories in power have rigged the system so that anyone who does not spend the entire working week pestering local businesses for jobs that they aren’t offering will be sanctioned and will lose their benefit for a period of up to three years! It is entirely disproportionate, considering the state of the economy, and may cost jobseekers a lot more than a few quid a week in the long run. But this is how the benefits bill will be slashed – by the Conservatives and by Labour, if Rachel Reeves is to be believed. Ministers of any party, living in the la-la land of made-up statistics, will sanction people for failing to work hard enough at securing jobs that don’t exist! Ms Reeves says Labour’s jobs guarantee will ensure that those jobs do exist but we don’t know that for sure. We do know that she intends to continue Tory policy on sanctions – blindly. Finally, we have the biggest myth of all – that there isn’t enough money. HM Revenue and Customs just released estimates for the last-but-one tax year (2011-12), suggesting that it failed to collect £35 billion in evaded or avoided tax during that year. That’s seven times more than the national bill for JSA, and more than 29 times the estimated cost of all benefit fraud. But wait – it gets better! This is only an estimate and it has long been believed that the true cost of the so-called “tax gap” is £120 billion – equal to each year’s national deficit, 24 times the cost of JSA or 100 times the cost of benefit fraud. Why isn’t our government going after these criminals? Why hasn’t Labour promised to go after them if the Tories won’t? Simple: Both main parties have been re-writing tax law to make it easier for rich individuals and large corporations to avoid paying tax, and ignoring flaws in tax laws that make avoidance possible. 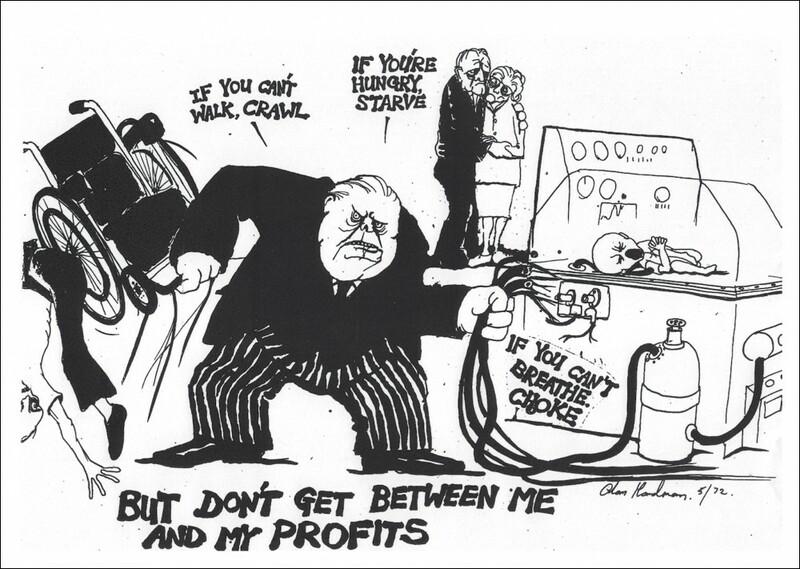 So for example: In the late 1990s, the then-Labour government removed the tax on dividends that meant companies had to pay tax on profits if they wanted to pay them out to the owners. So for example Arcadia boss Philip Green’s wife Tina, who is technically the owner of the company and lives in Monaco, received a tax-free £1.2 billion dividend in 2005; if this tax had been in place, £300 million of that would have gone to the UK Treasury. Gordon Brown slashed Capital Gains Tax from 40 per cent to 10 per cent in 2000, meaning income that his friends in private equity managed to engineer into capital gains would be taxed at a lower rate than was paid by their cleaners. Not the finest hour for the Party of the Worker! And towards the end of its term, New Labour started dismantling the rules that guarded against industrial-scale tax avoidance by British multinationals, meaning profits returned to the UK from overseas subsidiaries would be exempt from tax. This created a substantial incentive for firms to send their income offshore. Before the 2010 election, our old friend David Gauke made a lot of noise about stopping the limitless tax deductibility of interest payments, that had been used by Boots (the chemist) to slash its tax bill. Six months after the election, when he was in a position to do something about it, he was telling everybody the rules would not be altered because business considered them a competitive advantage. The Coalition brought in tax exemptions for companies’ tax haven branches and for profits parked in tax haven subsidiary companies. Meanwhile, tax breaks for the cost of funding these offshore set-ups, from the UK, are also provided. Corporation Tax will drop to 21 per cent by 2014, even though there is no evidence that cutting the rate will make the UK any more competitive in world business. The Treasury’s mission is now to adjust the framework of tax laws to suit big business. The ‘Big Four’ accountancy firms are now well-entrenched in writing our tax laws for us – and they run the most popular tax avoidance schemes. Consultations have descended into a process of agreeing laws demanded by big businesses. There are clear and irrefutable arguments that reversing these legislative idiocies and closing every other tax avoidance loophole will do far more for the economy than flogging the unemployed to death, looking for jobs that don’t exist. But I don’t think former Bank of England economist Rachel Reeves will be interested in that. In 1975, an appalled taxpayer wrote to then-Chancellor Denis Healey, complaining that an employee of the Bank (which is supposed to work on preventing tax avoidance) had been giving advice on how to avoid tax. “I wonder if this is really part of the Bank of England’s duties,” the correspondent wrote. The behaviour of Ms Reeves, the former Shadow Chief Secretary to the Treasury, suggests that she believes it is. Lord David Fraud – sorry, Freud. That was a Freudian slip – the man who said “People who are poorer should be prepared to take the biggest risks; they’ve got least to lose”, has been at it again. According to Inside Housing this man, whose principles allowed him to take Labour’s money and provide that government with his duff advice before running off to join the Tories as soon as it looked as though they would be in office after the 2010 election, wants to bully councils out of an entirely legal way to help their tenants avoid paying the punitive and unfair bedroom tax. The tax, as we all should know by now, affects people living in social rented accommodation with more bedrooms – as defined by the rent agreement (if I recall correctly) – than the government last year arbitarily decided they need. The options are to give up 14 per cent of your housing benefit if you have one ‘extra’ bedroom, 25 per cent if you’ve got two – or move to smaller accommodation which does not, in the vast majority of cases, exist. Out of 600,000 affected families, 582,000 have nowhere else to go. So this is a thinly-veiled robbery, from people who can do nothing to prevent it. It is a tax that has offended many councillors in local authorities across the UK, and some came up with the novel idea that rooms within the properties they own may be reclassified as offices or ‘non-designated’ rooms, thereby avoiding the need to pay the tax. After all, a room is just an enclosed space within a building, right? If it doesn’t have a bed in it, why should it be classified as a bedroom? Lord Fraud – sorry! Freud – doesn’t see it that way. He wants that cash and couldn’t care less that people in social housing need it to keep a roof over their heads. He has been spending the last month or so (since the councils started re-classifying) trying to put a stop to it and now, it seems, he thinks he has found a way. In a letter to council chief executives yesterday (Thursday), he has said redesignating properties without reducing their rent to reflect the loss of a bedroom creates an inconsistency for housing benefit and rent purposes. “Blanket redesignations without a clear and justifiable reason and without reductions in rent, are inappropriate and do not fall within the spirit of the policy,” his letter states [italics mine]. The flaw, of course, is this: The size of these properties will have remained the same, therefore so should the rent. But a room without a bed in it is not a bedroom. Let’s move on to another tax avoidance issue. Since we’re discussing actions that are “inappropriate and do not fall within the spirit of the policy“, what about tax avoidance schemes that are used by very rich individuals, in order to avoid paying the full amount they owe to the UK Treasury? This has been going on for more years than any of us can remember and the total currently parked offshore, where the tax inspector can’t get at it, is estimated at £21 trillion (it might actually be dollars, but either way it’s a heckuva lot of money). If the turncoat Lord Freud’s new Conservative friends had been quick off the mark in dealing with this aspect of tax avoidance, he might have been justified in his own hasty behaviour, but they haven’t. Even now, there is no guarantee that the Treasury will get anything back from the tax havens, despite all its posturing and sabre-rattling. There’s just no interest. And by the time anyone gets around to actually taking action, the offenders will have had plenty of opportunity to move their capital elsewhere. But the actions of the individual taxpayers who have chosen to put their money out of HMRC’s reach is no closer to the spirit of UK tax policy than the actions of the councils who have chosen to protect their tenants. The difference is that one set of individuals is acting in selfish self-interest, while the other is taking action to help others. Freud, by his own actions, has shown us all exactly where his loyalties lie. He’s not against tax avoidance, as long as it’s his kind of people doing it. And he loves to bully the little people. He really gets a kick out of threatening them, and he’s not above bending – or changing – the law to do it. That’s why I say any new government coming into office after 2015 needs to enact a law that criminalises abuse of power – being any legislation or act by a government member that unfairly punishes any named individual or group within British society. So for example here, it could be applied because Freud wants to penalise hundreds of thousands of people with a tax they can’t pay, when there is no alternative because they have nowhere else to go (except to be thrown out onto the streets, and then the question to be asked is, who takes over the properties after they have gone?) – and is now threatening to punish any attempt legally to avoid paying that unfair tax with another unfair punishment, because others who also legally avoid paying a – fair – tax are being allowed to do so. As a criminal offence it should involve the sternest penalties possible – stripping the guilty of any titles and privileges, and all property, alongside a lengthy prison sentence involving the hardest labour to which prisoners may be put. Anyone who is willing to deprive the defenceless of everything they own should be made to lose everything as well. 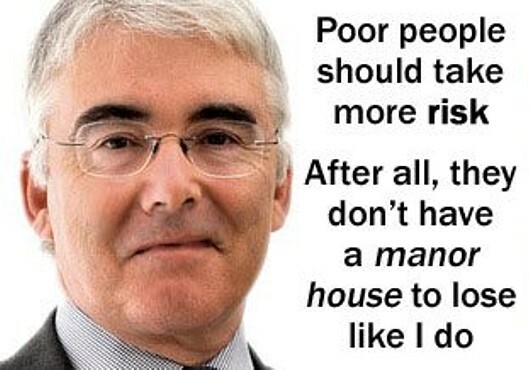 So Lord Freud, for example, would have to kiss goodbye to his luxury mansion in Kent, and everything in it. When he finally came out of clink, he’d be living in council accommodation – and if nowhere could be found that didn’t have more bedrooms than he needed, he’d have to pay his own bedroom tax which would be poetic justice. I know. It will never happen. Politicians look after their own. But it should – and you know it. Beware Coalition stooges who repeat Iain Duncan Smith’s lies for him! 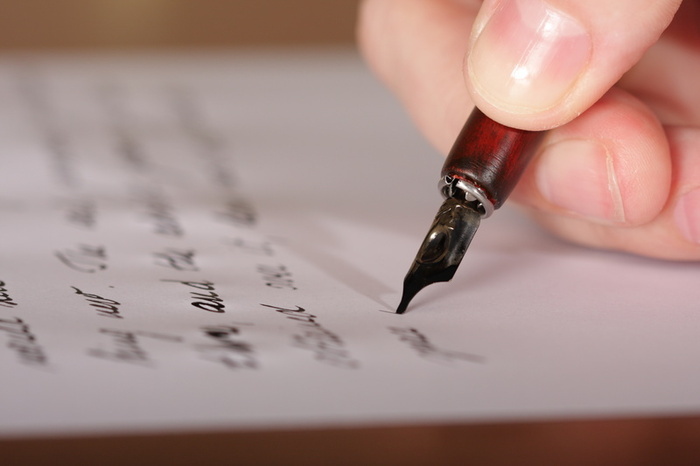 The pen is mightier: It is the war of words between Coalition distortion of the facts and those of us who value accuracy that will determine the outcome of the next UK general election. 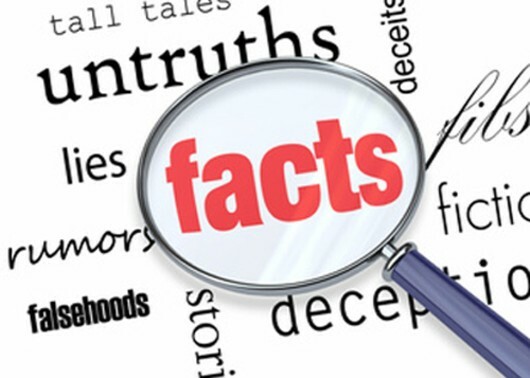 It is most vexing when people refuse to believe facts that are presented to them. You may be astounded to learn that, despite the veritable mountain of information in my 700-word missive, some people still did believe it! “I must write to convey my disappointment at the handful of people who have written to your paper recently opposing welfare reforms. I assume from the tone of these letters that they are probably Labour Party supporters. “Like lemmings blindly following each other off the cliff, these people have decided to oppose one of the most popular government policies in recent memory. “I am no great fan of the Lib Dem/Conservative coalition but this handful of socialist Labourites must be the only people left in the UK who don’t think the welfare system needs urgent reform. “I say I am disappointed because I have always voted Labour and it saddens me to see Labour so out of touch with public opinion. “Our benefit system is far too soft and state handouts simply must be cut. Why can’t Labour see this? “I am also ashamed that the local Labour Party… has decided to adopt a policy of scaremongering by trying to label one reform as a ‘bedroom tax’. “It is not a tax and Labour knows that full well. “A tax is a levy on something you own, earn or purchase: state provided housing benefit is none of these. “Is it any wonder that people do not trust politicians when an established and legitimate political party like Labour resorts to such trickery? “Having spare rooms wasting at the taxpayer’s expense is simply inexcusable and unaffordable. “Why do Labour want the taxpayer paying for people to be in large flats or houses with unused bedrooms, when there are larger families who need this space? “If people receiving housing benefit refuse to move to smaller housing and insist on staying in excessively large accommodation, then they should be prepared to pay for it just like every other family. “To be fair to the Conservatives and the Lib Dems, they have decided to tackle an issue that Labour feels it cannot. “The cynical amongst us would say Labour’s refusal to support benefit reform is because of their historic reliance on the votes of the unemployed and those receiving benefits. You’re probably shaking your head in disbelief but in fact this is quite a cleverly-constructed letter. Look at the way she tries to establish that right-thinking people must approve of the way Iain… Smith and his mates are hacking apart our social security and that anyone who doesn’t – “probably Labour Party supporters” are a “disappointment”. She later attempts a feat of mind-reading when she tells Labour members that they feel they cannot tackle an issue that the Coalition parties have – and her final comment attempts to tar Labour with dishonest, or at least covert, intent by claiming that the party relies on the unemployed and benefit-receiving vote. One might hope that Labour’s recent adoption of a harder attitude to benefits will have persuaded Mrs Lloyd that this is not true, but this is by no means certain. It wouldn’t suit her purposes. I particularly enjoy the next line because it conflates two gross misapprehensions: Lemmings do not fling themselves over cliffs suicidally. The makers of a Disney (!) documentary created that myth for reasons of their own, and it seems likely that Mrs Lloyd had reasons of her own for running it together with the myth that the Coalition cuts are “one of the most popular government policies in recent memory”. They’re not, and never have been. Labour does not oppose welfare reform. It opposes the Coalition’s attack on the poorest and most vulnerable in society, carried out under the pretence of reform. The only Coalition welfare policy that has won any popular support – the benefit cap – is also supported by Labour. But the average family income is not £26,000 per year, as the Coalition states – that is a lie. That family would receive state benefits, bringing its income up to £31,500, or slightly more than £600 per week. This was glossed over because the Coalition would not be able to penalise enough poor people if the cap was set at that – realistic – level. The other cuts to social security benefits have provoked a storm of protest – particularly the genocidal pogrom against the sick and disabled, and also the bedroom tax, which Mrs Lloyd singles out, and to which she applies her own quaint definition of ‘tax’. So let’s put her straight. It is a tax, as it is a compulsory contribution to state revenue, levied by the government against a citizen’s property, to support government policies. Mrs Lloyd seems unaware that 97 per cent of the 600,000 families it affects – that’s 582,000 families – simply have nowhere else to go. The smaller accommodation into which she expects them to move does not exist. And the definition of ‘bedroom’ has been applied to small box rooms that would not accommodate a bed, let alone the person who would be expected to sleep in it! The tax is therefore exposed as a scheme to screw money out of the very poor, put them into arrears with their landlord, and sling them onto the streets. This is why I support the redefinition of these ‘spare’ bedrooms, as taken up by some councils, into ‘offices’ or ‘non-designated rooms’. This is legal tax avoidance – putting the tenants of such homes into the same category as the billionaires who are sitting on £21 trillion of untaxed earnings in offshore tax haven bank accounts. If the government kicks up a fuss about ‘bedroom tax’ avoidance, it can damn well go and get those trillions back first. As for the taxpayer being made to pay for unused bedrooms, that decision was made by the Coalition government, not the Labour Party, when it decided to cut Landlord Subsidy (that’s Housing Benefit to you, Mrs Lloyd) rather than cap rents at a reasonable level. The remark that people are refusing to move to smaller accommodation is so far removed from reality that it defies belief, as is the implication that they do not pay anything towards their rent. For Mrs Lloyd’s information, the vast majority of Housing Benefit claims are made by people in work, who do pay the majority of their rent; the amount of Housing Benefit they receive is a top-up because the wages they receive are too low. I don’t see you blaming employers who have increased their own pay eightfold over the last 30 years, while employees’ pay rises total just 27 per cent – far less than cumulative inflation, Mrs Lloyd. The opinions expressed by this correspondent are based on nothing but myth and should be fought tooth and nail. If her distorted views are accepted as fact by the majority of the voting population, then the Conservative Party will win the 2015 election, and those of us who value facts and honesty will only have ourselves to blame if we have not done all we can to rectify matters. I was going to write about a more recent letter to the same newspaper, which prompted me to contact the UK Statistics Authority with a complaint. But that will have to wait for another day. 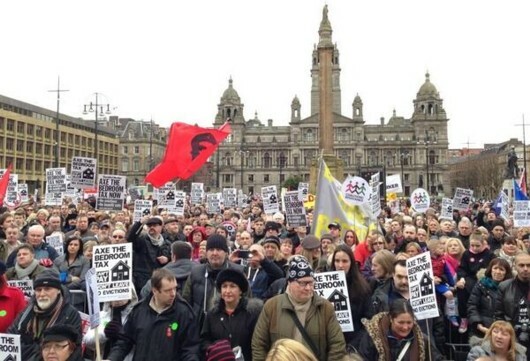 Hugely unpopular: Thousands of people have demonstrated against the bedroom tax on the poor since it was first announced by our government of millionaires – this one was in Glasgow. Has your council or housing association re-designated any so-called “spare bedrooms” into box rooms, studies or non-specific rooms yet, to help you avoid paying the bedroom tax? If not, you have to ask yourself, why not? It’s only around two months since the so-called ‘state under-occupation charge’ became the law of the land, forcing social housing tenants to lose 14 per cent of their housing benefit if they have one ‘spare’ room, and a quarter of their benefit if they have two or more rooms going ‘spare’ – according to the Coalition government’s definitions, which are, of course, unjust. 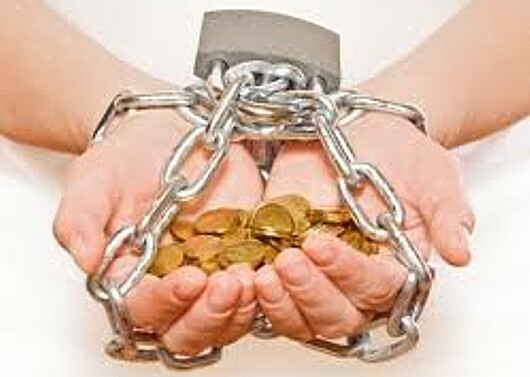 Already, thousands of people are sinking into debt, according to a Daily Mirror report today (June 4). The report states that 1,120 of New Charter Housing’s 1,600 households affected by the bedroom tax – 70 per cent – are in arrears, with tenants losing up to £88 in benefits every month. Brighton councillors have chosen not to evict tenants who fall into arrears because of the bedroom tax, although some other councils have said this is unrealistic. The Department for Work and Pensions claims that the tax is far (it would, wouldn’t it?) and will either “encourage” or “persuade” families it claims are “over-occupying” to move out, freeing space for others on the housing waiting list, which the Tory-led Coalition has allowed to become hugely over-subscribed due to its failure to invest in building new social housing stock. The reality is that these families have nowhere to go – for precisely the same reason (lack of social housing stock). They could move into private rented accommodation, but that is more expensive, even for smaller properties, so they would, again, face going into arrears and eventually losing their homes. A homeless family is, of course, far more expensive for a local authority, as it must then pay to put them up in temporary accommodation – usually a bed and breakfast establishment – at much greater cost then letting them live in council or housing association homes. This is just one reason why the bedroom tax is a waste of taxpayers’ money. But it doesn’t have to get that far. Councils in Leeds, Nottingham and North Lanarkshire have been re-classifying spaces in their housing stock as box rooms, studies or non-specific rooms, to help tenants avoid paying the tax. Edinburgh, Birmingham and York councils have been considering the same action. An e-petition has been launched to get Sheffield Council to re-classify bedrooms as non-specific rooms, and may be signed here. And what’s to stop councils and housing associations from simply cutting their rents by the 14 or 25 per cent necessary to let people continuing paying the same amount? It’ll be cheaper in the long term! Some might say that this behaviour is cheating – that it is, in essence, tax avoidance. Tax avoidance is perfectly legal, of course – and the government has been dragging its heels about changing the law ever since it came into office back in 2010. Could this because they and their rich friends are among the worst tax avoiders, and their money is a major part of the £21 TRILLION currently sitting in offshore bank accounts, helping to ensure the economy stays stagnant and justify the government’s pointless austerity scheme? Let’s have some uniformity: Rather than have a patchwork of re-classifications across the UK, turning the bedroom tax into a postcode lottery, let’s call on EVERY council to take this step. When the government complains, the response should be that councils will reverse the step, after the government puts an end to all the income tax avoidance it has been allowing and collects all the money that we, as a nation, are owed. After that, there won’t be a need for the bedroom tax and so that law can be repealed. Postscript: There will be naysayers who’ll respond to this by saying it’ll never happen and it can never work. Their principle purpose in doing so is to discourage people from trying. There is a response to this, as follows: Why not? IF YOU DON’T ASK, YOU DON’T GET! 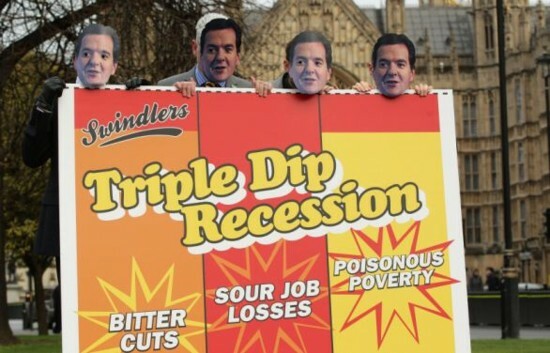 GDP figures due – will Gideon have anything to show for his austerity idiocy? Triple-dip breakfast: Will we all be dining on the sour cereal of recession again, when GDP figures are published on Thursday morning? Thursday will be another ‘crunch’ day for our part-time Chancellor of the Exchequer – he’s having quite a lot of those lately, isn’t he? Only last week, the academic justification for his austerity policy was disproven by an American student (oh, the shame! ), and then his former allies at the International Monetary Fund distanced themselves from him (oh, the betrayal!) saying he should calm down a bit. That’s the best advice this columnist has ever heard the IMF provide; if not for his own health, then for the nation’s. Thursday, though, is a really big day. On Thursday, GDP figures for the first quarter of 2013 will be published. It is a sign of how low expectations have fallen, that all the economic commentators are saying the best we can expect is to have kept out of a triple-dip recession – with falls in output due to the weather, among other things, making that unprecedented outcome more likely. There is a problem with all of these predictions, which should be obvious to those of us living in the real world: Short-termism. It’s all about how the UK managed in the last quarter, how it will manage in the next; what the situation is today. What about six months from now? What about next year? What about 2015, when we’re all expecting an election and the chance to banish this nightmare? What about 2017-18, when 0sborne still reckons he’ll have eliminated the budget deficit (fat chance)? The fact is that the only options open to a Chancellor in the current climate are unpalatable to the Boy. He could boost investment in infrastructure, in a bid to make this country a better place to open – and carry out – business. The trouble is, this tends to be a long-term project and he no longer has the time. His chances would have been better if he had started this in 2010, but his government cancelled as many such projects as they could back then, claiming it was more important to cut public spending in order to balance the books. That was a vain hope. Without new investment, the country has lost revenue. But if that is unpalatable, the other alternative is likely to make him choke on his pate de foie gras (or whatever it is these posh boys ingest): Increase the spending power of the poor. It is known that the ‘trickle-down effect’ is a myth – giving all of a country’s money to the very rich, in the belief that they will spend it, boosting the economy and the income of the poor, is nonsense. What they actually do is bank it – in offshore tax havens, most likely. That is what 0sborne has been doing; it is another reason the economy has bombed. It is also a rock-solid fact that poor people do spend their money – or as much as they can get their hands on. When you are constantly struggling to make ends meet, it’s very hard to keep cash in the bank – you have to spend it on food, clothes, rent, heat, light, water… the list is endless, because it constantly repeats. When you don’t have much cash, as Edmund Blackadder once said, you feel like a pelican. Everywhere you turn, there’s a large bill in front of you. That money does work for society. It reinvigorates the economy as it filters through different hands. And it brings with it the extra joy of fiscal multipliers – every pound that gets put into the economy is worth more after it has been through. The trouble is, Gideon shut off that money supply. He raised VAT, making it harder for working-class people and those on benefits to buy certain economy-boosting products, and then he and Iain Duncan Smith spent the last few years on their project to depress wages. Say what you like about Labour, but they’ve got the right idea when it comes to the money supply. Ed Balls wants to cut VAT; he wants to bring back the 10 per cent tax rate for the lowest-paid; he wants to bring in a National Insurance holiday for companies that agree to take on new employees. These are measures that will help. What is Gideon going to do?